The Ithaca Sustainability newsletter is produced by the City & the Town of Ithaca. 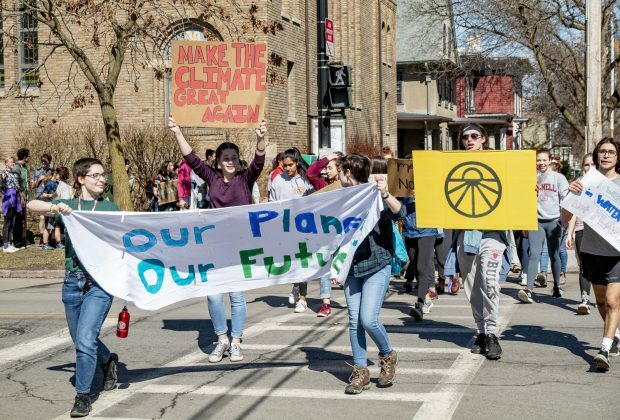 On March 15, hundreds of young people chanted as they marched from Ithaca High School and Cornell down to the Commons. By “striking” Friday, local students joined other youth from around the world who showed up to protest inaction on climate change. Learn more. Since the City of Ithaca and the Town of Ithaca adopted the final Green Building Policy report in May 2018, we have been preparing for, and are now implementing, Phase Two: drafting legislation based on the policy recommendations contained in the GBP report. Learn more. ● The Town of Ithaca is seeking a Planning and Sustainability Intern. Application deadline March 20. ● The Ithaca‐Tompkins County Transportation Council is seeking a Transportation Analyst. ● The Tompkins County Department of Recycling and Materials Management is seeking two Outreach Assistants. 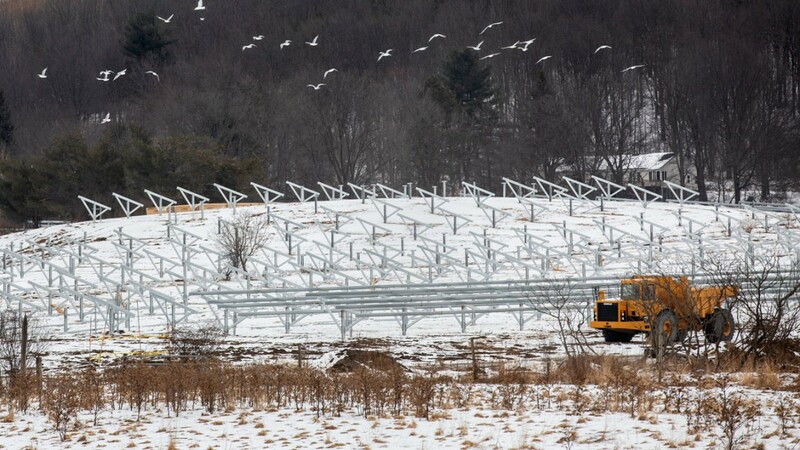 The 18-megawatt Cascadilla Community Solar Farm is the university’s sixth large-scale solar project. About 79,000 solar panels will add enough energy onto the grid to serve about 3,000 average residential homes. Learn more. 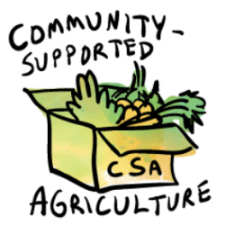 With Community Supported Agriculture (CSA), you purchase a share, and receive a weekly portion of the farm’s products. Farmers benefit from a long-term customer and consumers get fresh, delicious, healthy fruits and vegetables at below-retail prices. Find a list of CSA farms here. CCE-Tompkins' recently updated CSA Directory includes almost 40 listings for area farms that sell direct-to-consumers using the CSA model. Tuesday, March 19, 7:00-8:30pm, Quaker Meeting House, 120 Third St.
Come learn about the Energy Innovation and Carbon Dividend Act, a federal bill with bi-partisan support. This carbon fee and dividend policy reduces fossil fuel use and spurs conservation and alternative energy development. Help get it passed! Learn more. What's your Climate Change story? 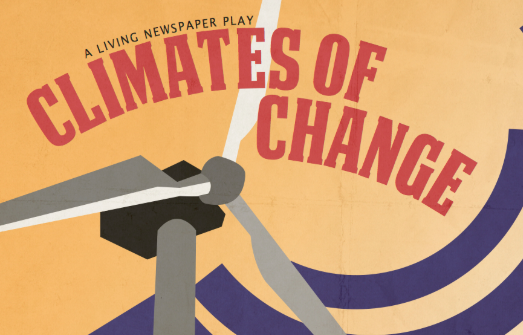 Contribute your stories, experiences, ideas, and questions to the creation of an original play exploring climate change in Tompkins County. Join us for an evening of story sharing and creative exploration. Transportation and childcare assistance available. Learn more. Questions, RSVP (if possible): ella@civicensemble.org. Saturday, March 23, 9am-4pm, Boynton Middle School, 1601 North Cayuga St.
Come and experience a day of free family-friendly activities, exhibits, and education focusing on fishing and environmental conservation. Learn more. A panel of experts will discuss the various challenges facing Cayuga Lake, including harmful algal blooms (HABs), changing weather patterns, and nutrients throughout the watershed. Learn more. A short and sweet first half leads off the evening with films designed to inspire more livable cities. Then relax back and enjoy Portland’s Filmed by Bike Festival ‘Bike Love’ program with an hour’s worth of festival winners. Free popcorn for the first 75 folks to arrive. Learn more. Screening of "Normal is Over"
Join us for a celebration of hope and possibility, by helping us bring "Normal is Over" in honor of Earth Week and in celebration of the Earth. Learn more. A free full-day environmental gardening community event! Learn more. Eco-Gap at EcoVillage Ithaca offers programs for young adults to explore possibilities for leading a life of passion and commitment to social justice and environmental sustainability. Learn more. ● Eco-Gap Immersion Program: An 8 week long structured program with up to 8 participants (September - Nov. 2019). The Ithaca Sustainability newsletter is a collaboration between the City of Ithaca and the Town of Ithaca. Both municipalities have a fundamental commitment to protect and enhance economic, community, and environmental resources within government operations and community-wide. The City and the Town of Ithaca are developing energy and water efficiency standards for new construction. Join the mailing list to learn of upcoming outreach events and other news. EVTompkins is a community-wide initiative aimed at achieving widespread deployment of electric vehicles. This project is supported by NYSERDA as part of the Charge NY initiative. The Energize NY Property Assessed Clean Energy (PACE) financing service offers long-term low-cost financing for energy efficiency and renewable energy projects. Copyright © 2019 Town of Ithaca, All rights reserved.